In Hearts Wake have announced that they’ll release their fourth album next month. Titled Ark, it will launch on May 26 via UNFD/Rise Records – and it’s now available for pre-order. The band say in a statement: “Today we are overjoyed to announce that our new album Ark will be released on May 26. Watch the video and see the Ark artwork and tracklist below. 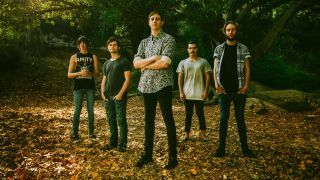 In Hearts Wake also say that they’re planning on launching a “unique project initiative” called We Are Waterborne in the near future, with full details to be revealed in due course. The band are currently on the road in the UK and have further dates planned, including a headline tour of Australia this summer.